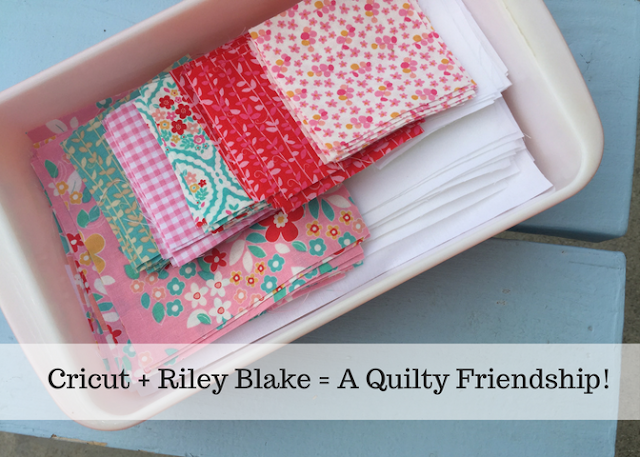 Once I've found the quilt pattern that I want to make in Cricut Design Space, and have the Riley Blake Fabric Kit, I'm ready to start cutting! 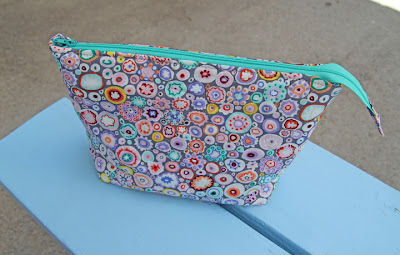 To see how I chose my pattern and fabric, check out part 1 of this 3 part series here. I don't pre-wash my fabrics when I'm quilting, so all I needed to do was to press them. Once they're pressed, the fabrics are ready to be cut to mat size. I'm using the Cricut Rotary Cutting Kit for all my cutting with this project. This cutting kit is perfect for Cricut projects because the ruler is 12" wide which matches up with the mat size. Also, the self healing mat is marked for the 12 x 24 mat and the 12 x 12 mat. Super Helpful. In my pattern, it says to cut the fabric at 12" x WOF (width of fabric). Most of my fabrics were already cut at 12" and were ready to go. Note: In order to conserve fabric, don't sub-cut the WOF to the mat length of 24" (see below). 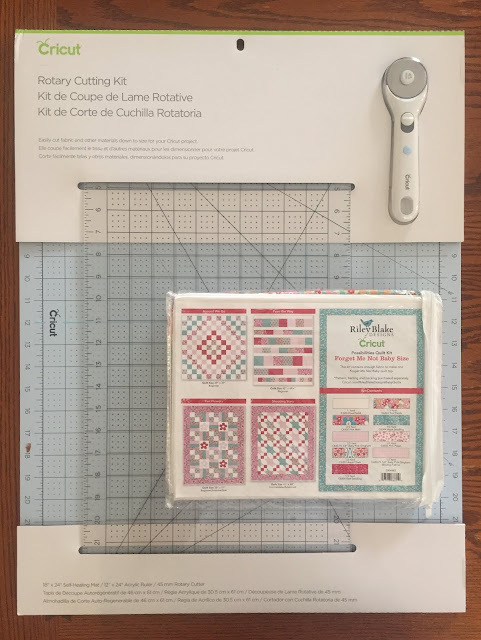 Once the fabrics were all prepared, I started loading them onto the cutting mats and running them through the Cricut Maker. I love being able to walk away while the Cricut Maker is cutting. I never have to do any math or count pieces to make sure I have enough. The math and counting are done for me. I can go put some clothes in the dryer or check on dinner and never have to worry about the cutting! The Cricut Maker with its rotary blade can cut through hundreds of different fabics. The cotton quilting fabric that I'm using for this quilt is considered medium weight, but the blade can cut through something as think as leather or as thin and delicate as chiffon. The instructions said to allow the excess fabric to hang off the end of the mat. That way, if you don't cut to the end of the mat, you can just trim off the excess and use the leftovers for another project. For this quilt, there were 13 mats. As one mat was cutting, I was peeling off and stacking the previously cut quilt pieces and preparing the next mat. The process was pretty quick, and now I have an organized tray of perfectly cut pieces that are ready to be sewn together!